The waste from all the surface water drain cleaning is processed at our facility in Rayleigh. 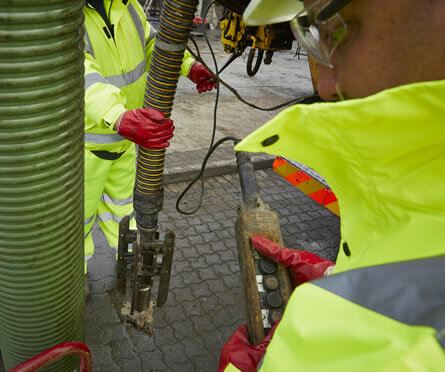 Our highly skilled team of operators combined with our powerful Combination Jetters (2,500 -10,000 PSI) can effectively remove obstructions from sewers, drains, ducts, culverts and pipes ranging in diameter between 80-2500mm). This will tackle a wide array of obstructions including fatty deposits, rust, scale, root intrusions and of course build-up of debris and silts. With interchangeable jetting nozzles our highly skilled operators will ensure the correct water pressure and cutting methods are used to avoid damage to your assets. 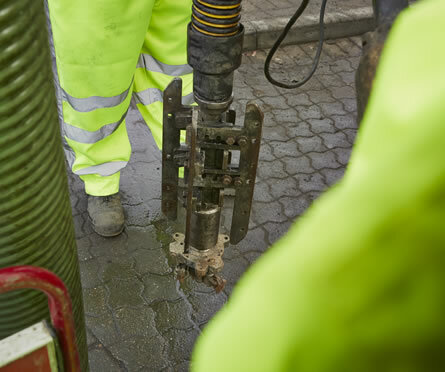 A post works CCTV survey is usually carried out to provide an overview of the cleaned section. Highlights of the service includes monitoring, wholly imperative to risk management programmes to locate blockages and prevent this happening again. Additional highlights of our services is the use of our high quality jetting porta reels help to make our operations even more mobile and adaptable to your business and its surrounding environment. Porta reels extend the jetting capability by up to 550m from our HGV vehicles enabling access to remote manholes in fields and buildings. With Jetting being so effective and powerful, our health, safety and risk management is our priority. It is imperative to Flowline that we maintain our position on the Water Jetting Association Panel and follow their codes of safety and share innovative ideas to better working process/practice. Flowline offers a point of difference with our waste processing unit, based at head office, which reduces tipping downtime, carbon emissions from vehicles and customer expenditure. Fieldviewer top of the market software enables Flowline to further enhance our jetting works management system for our customers. Customers are always impressed with our capability to provide real-time visibility of works in progress and Risk assessments that enforce completion of health & safety risk assessments and eliminate paper.